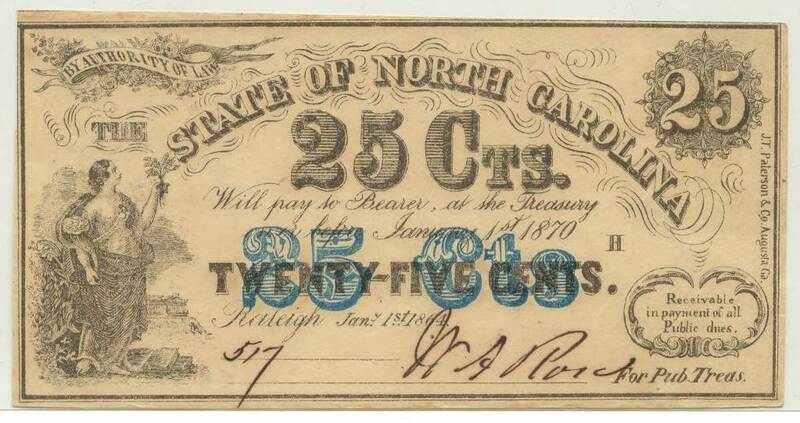 Item description: Fifty and twenty-five cent treasury notes, dated 1 January 1864, issued by the State of North Carolina. Item citation: North Carolina Collection Gallery Numismatic Collection, North Carolina Collection, Wilson Library, University of North Carolina at Chapel Hill. 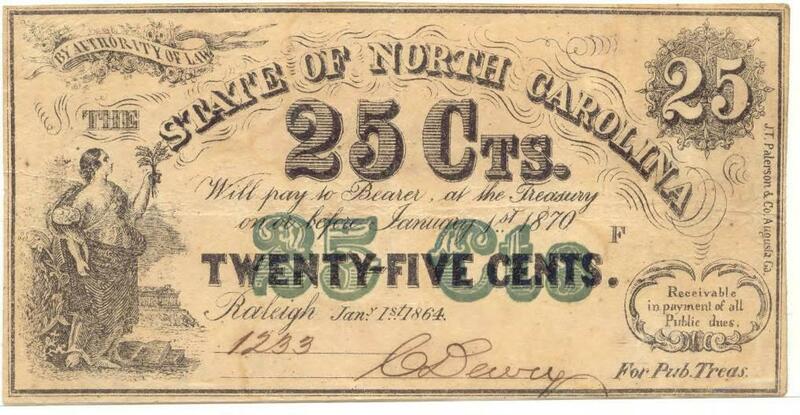 For more information about historic moneys in the North Carolina Collection Gallery, see this online exhibit. 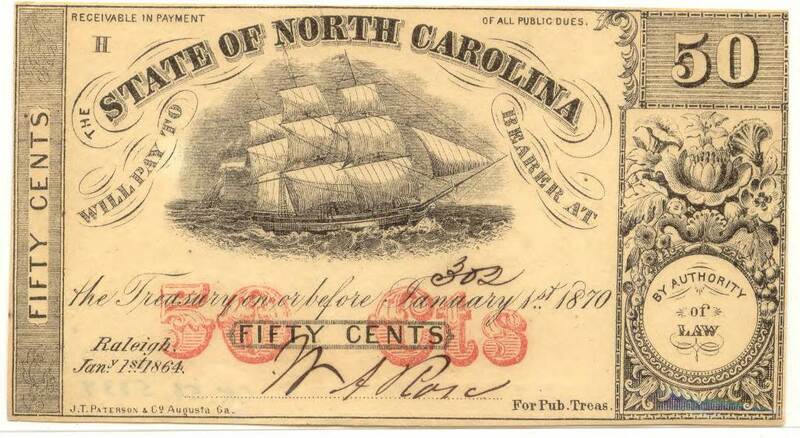 This entry was posted in North Carolina Collection and tagged money. Bookmark the permalink.